We have final reached the best time of year — the summer holidays! I have been itching to get out and about, hacking and making the most of having fun with Pepsi! But first a little update on the trials and tribulations of life with Pepsi. Since my last blog, a great deal has happened once again. Life with horses is definitely never dull. As you may remember we had an unexpected yard move at the end of the winter. But Pepsi settled into his new home extremely quickly and we continued our fitness work to the start of spring. We are both really happy where we are now. In March we competed in our first ever British Eventing One Day Event at Munstead. It was one of the best days ever. Pepsi was on amazing form. Although I was nervous, everyone was so friendly that I soon just relaxed and enjoyed the whole day. We actually came 12th overall! I was so pleased with Pepsi; it really was a great way to start the season off. I like to mix up what I do with Pepsi as much as possible, as he is not a fan of schooling, so I try my hardest to alternate his work with hacking, lunging and schooling. Once a week we do some pole work and a few jumps. As the longer warmer days approached, we planned our next BE event, at Chilham in Kent. I made sure I prepared in the same way as I had for Munstead. Pepsi was fit and ready — or so I thought! The day arrived, the ground was hard, but we did a good dressage test, in fact producing my best score to date! We went in to the show jumping phase feeling positive, but it was a feeling that rapidly evaporated. Pepsi was not happy to be jumping, and started refusing. I could tell something was not right: Pepsi had never refused like this. Was it just not our day? Was he feeling the hard ground, was something sore, or was he just being naughty? The possible answers to the problem buzzed through my head. After the initial disappointment, we tried to narrow down the cause. Pepsi appeared to be fine in himself. We spoke with our farrier, who said he would come and check Pepsi’s feet. We arranged for our saddler to come too. I continued to work Pepsi gently and not push him too hard. Little did I know that another difficult time was around the corner. I took Pepsi up to the Ashdown Forest for some gentle hacking and unfortunately came off, crashing in to a tree and ending up with a cracked wrist! All in all things were not going well for either of us and I have to admit it was a very difficult time. When the farrier attended, Pepsi was extremely unhappy about having his feet done, which again very out of character — if only horses could communicate with us. We discussed this problem with the farrier and after a couple of re-visits he came to the conclusion it was Pepsi’s back that was sore, this was affecting him having his rear feet picked up for any length of time. After a visit from our saddler we decided the most likely cause of our problems was our saddle, due to the fact that Pepsi is virtually unrecognisable from the pony I took on from the rescue centre. 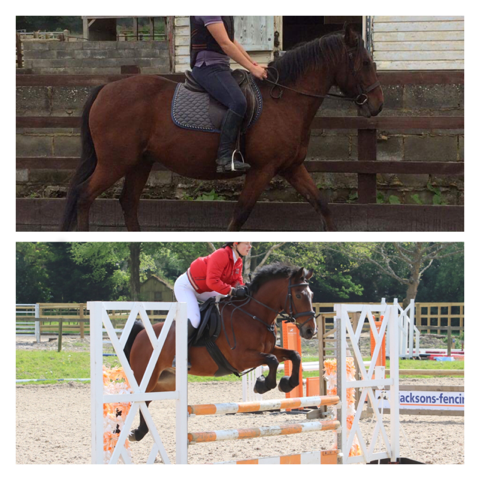 He has changed shape so much that his saddle was causing him a great deal of discomfort. In fact it had made his back sore which in turn had caused the problems with jumping and having his feet picked up etc. It was a huge relief to find out the cause. Without delay we started on a programme to get him back on track. We began lots of carrot stretches and lunging with his head and neck long and low, trying to encourage him to us his back muscles and hind quarters without straining. I will say the next bit quickly so that it is not so painful — but we had to buy a new saddle too! Horses cost lots of money, all the time. But we just love them and I most certainly can’t live without them. Over the last few weeks we have been out and done some dressage, coming fourth on one occasion. We also came fourth at some showjumping, qualifying the Sunshine Tour at Hickstead. I am hoping to get out and do some cross country again now we have broken up from school. Then we are going to do an unaffiliated one day event at the beginning of August. This will be a great confidence boost for both Pepsi and me. The last few months have been a huge learning curve. My priority is Pepsi and him loving life as much as I do. 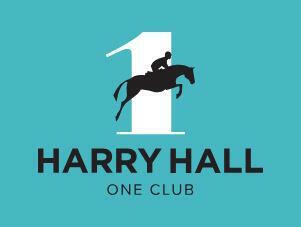 I am so excited about the Harry Hall One Club launch. Have you joined yet? 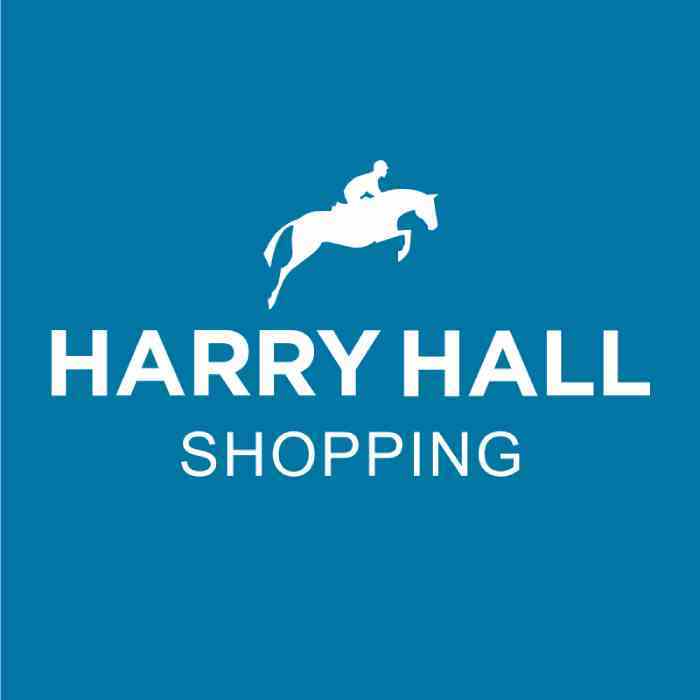 Have a look at the Harry Hall One Club page! It is amazing; terrific discounts on lots of brands. I have joined so why don’t you? My Hatfield Women’s polo in methyl blue Hatfield Polo Shirt and Aireview Women’s Gilet are the things I’m wearing most of the time at the moment: they are great colours, super comfortable and a great price. Have a fantastic summer everyone. I look forward to updating you on our trip to Hickstead later in the year!